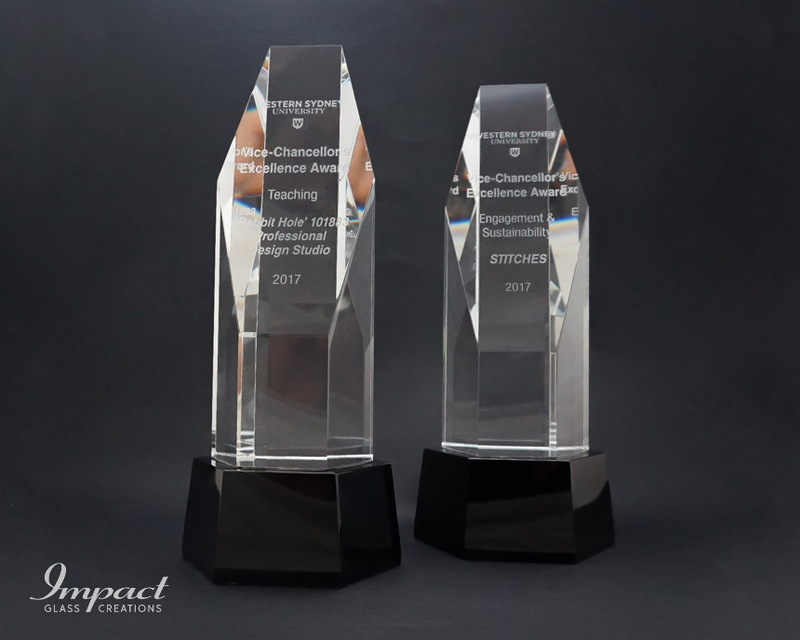 These awards recognise the highest level of achievement within the University. 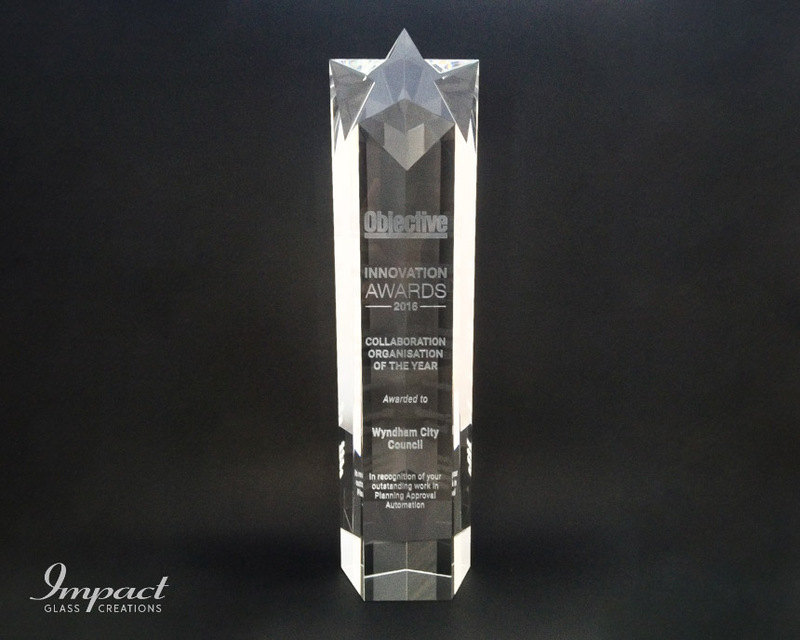 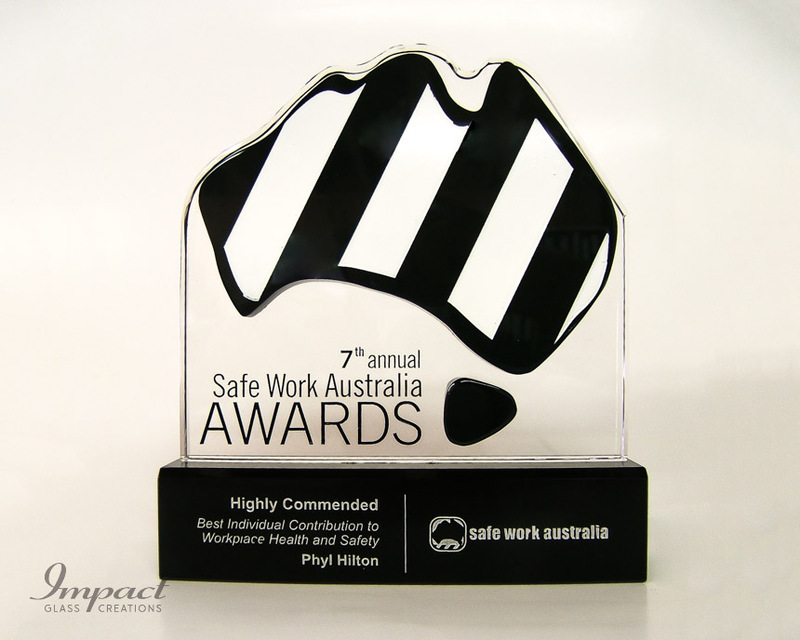 Standing almost 30cm tall these solid hexagonal awards, mounted on custom-made black hex bases really stand proud. 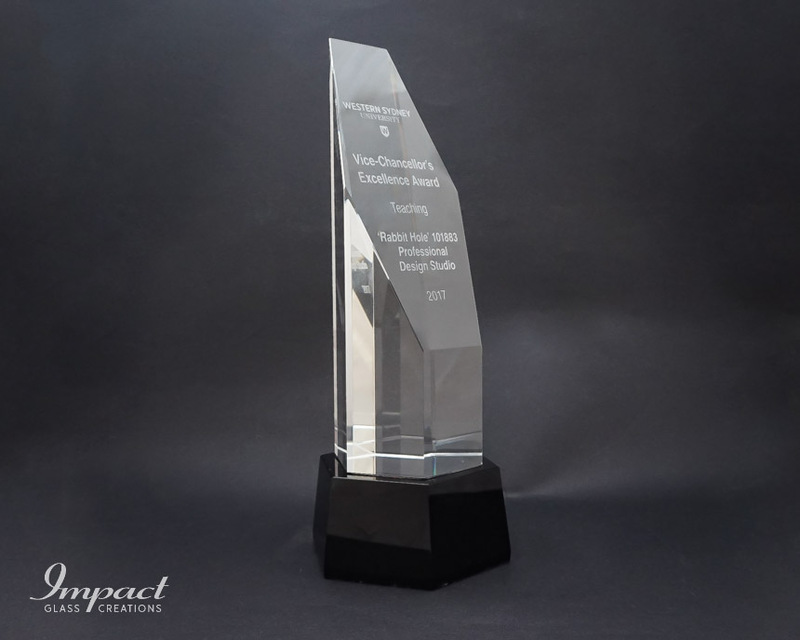 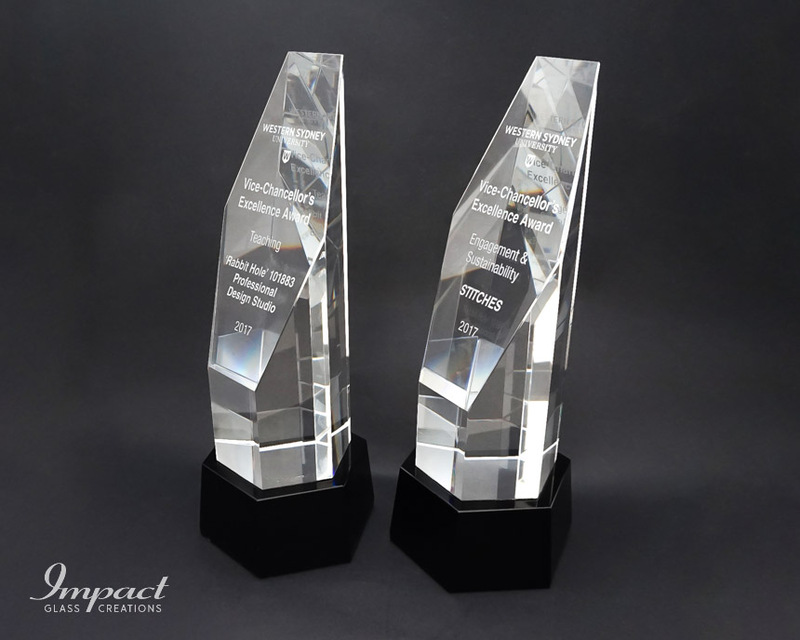 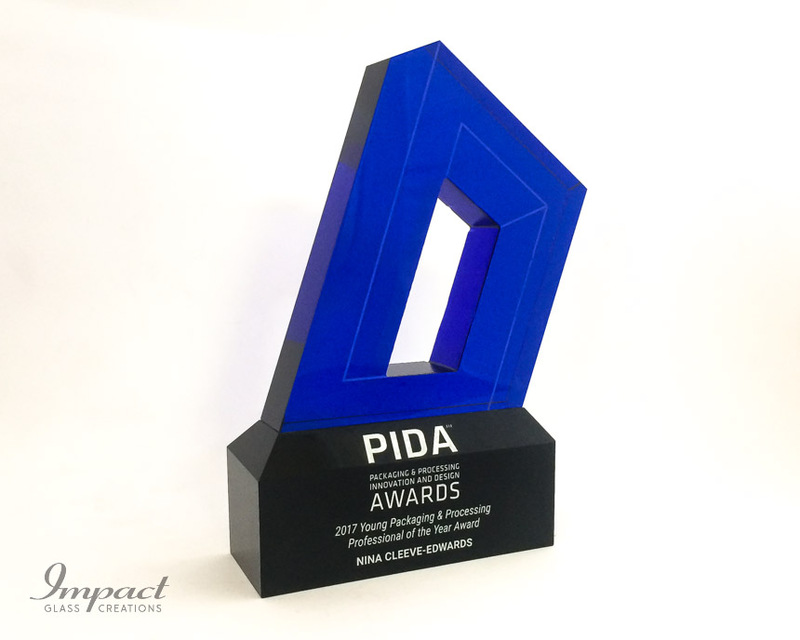 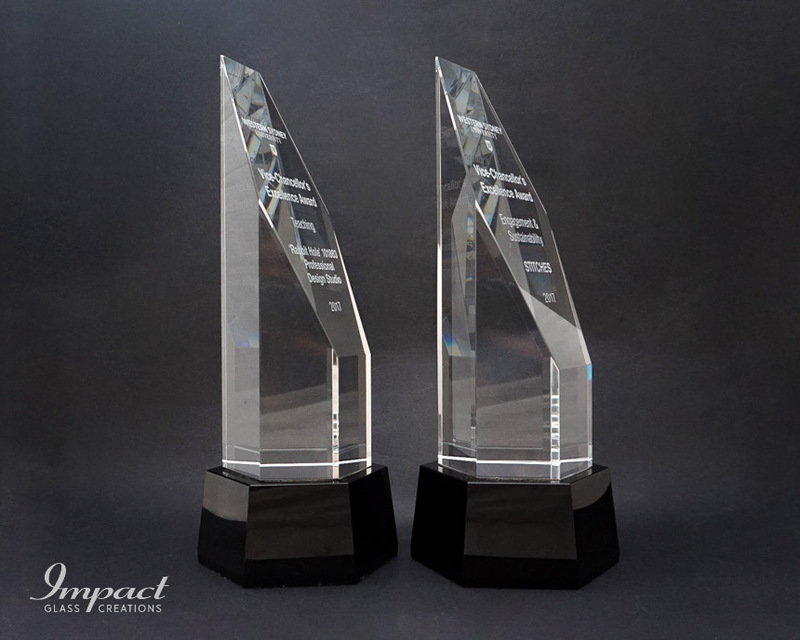 In order to accentuate the reflective qualities of the award, we silver the base of the crystal before bonding it to the base, so that any light entering the award is reflected up and around the crystal.